Do you want a quick and tasty snack after an active rest? 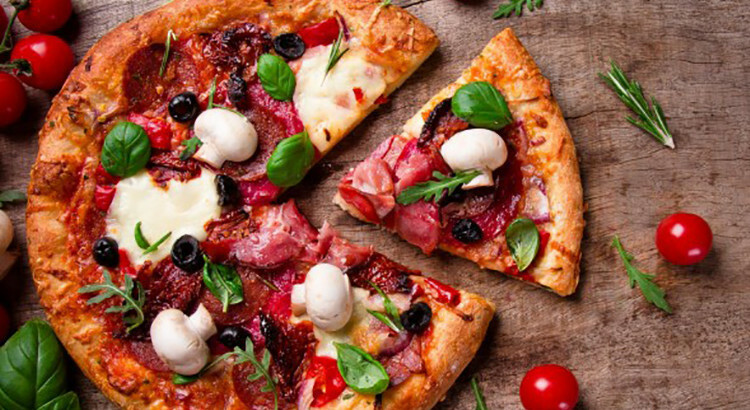 We has to please you–hotel complex Pidhiria in Bukovel has its own pizzeria. Cozy and comfortable atmosphere, wide range of pizzas and drinks, low prices – what else do you need? Real pizza – is a crisp flatbread and more than 15 types of filling. Choose on your taste – with sea products, meat pizzas with salamiand hunter’s sausages, cheese, vegetarian or with beef. Except pizza, there is a variety of salads, spaghetti, soups and desserts. Here you can have a quick and delicious breakfast, lunch and dinner. All the dishes we prepare for a day, so you can be assured of the freshness and quality of products. The interior of the pizzeria in the hotel Pidhiria is very simple – wooden tables and chairs, bright two-level suspended ceiling, stone decorations and large windows, which give the light and more space. There is a plasma TV on the wall and a fireplace in the corner. A lot of guests from mother hotels visit our pizzeria, which we are certainly proud of. Come and warm up by the fire place, watch football over a bottle of beer and enjoy delicious pizza. We guarantee you the most friendly atmosphere and excellent service ever!